The museum is closed while we and PoCo Heritage Trees set up our upcoming Carol Hubbard Memorial Natural History Exhibit, “The Secret Life of Trees”. 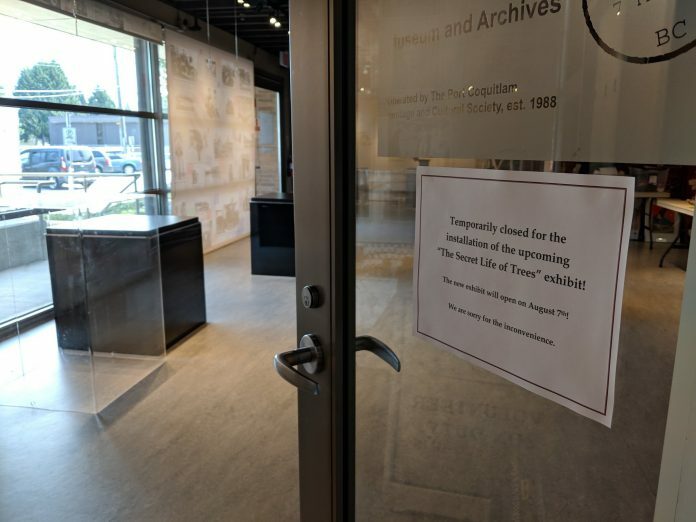 The museum will reopen on August 7th! We Hope to see you then! 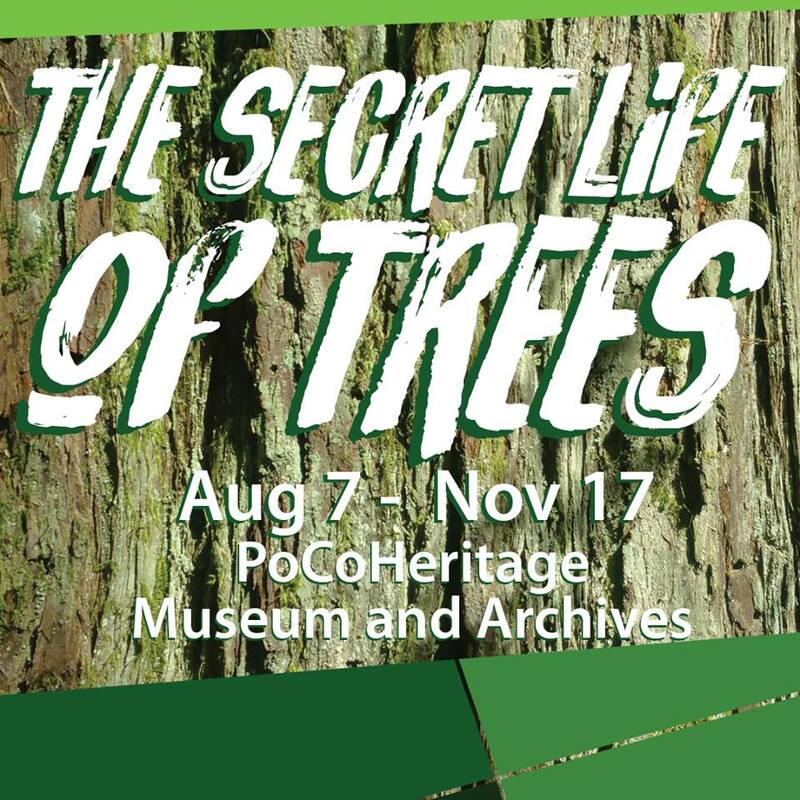 Created in partnership with PoCo Heritage Trees, “The Secret Life of Trees” is a close-up and intimate look at the magnificent solitary giants that we live amongst. Join us for an exciting journey of discovery and learning about the complex, vibrant, and surprisingly chatty life of our surrounding rural and urban forests. The exhibit includes an enchanting indoor forest, indoor and outdoor tours, and many fun and engaging activities including a woodland scavenger hunt, leaf colouring, and a take-home tree seed planting activity! 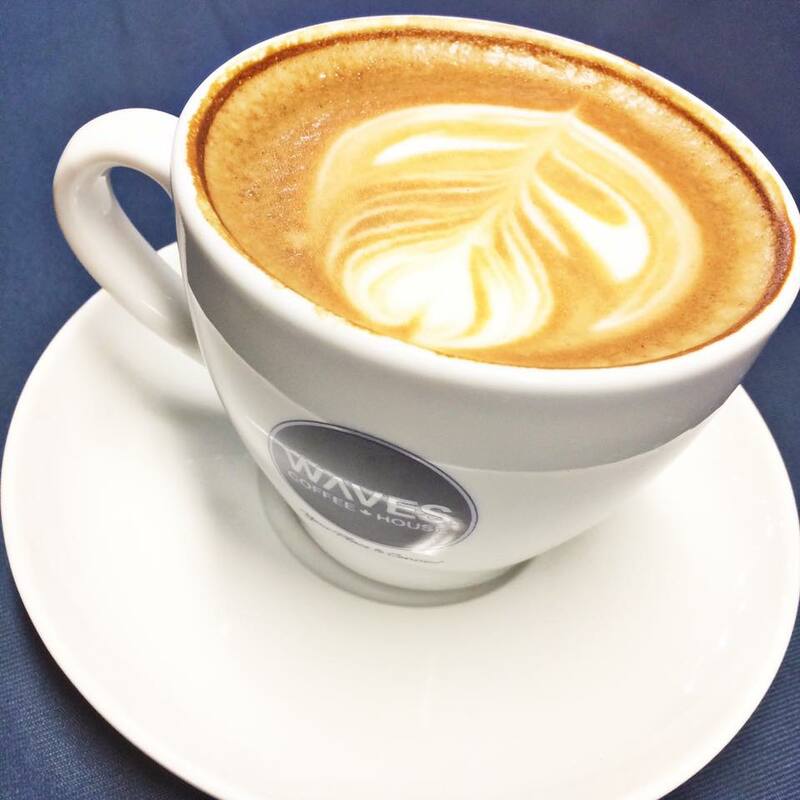 Grand Opening Event August 18th.